At Gulfex, our primary goal is to satisfy customer requirements and the commitments we have made. Our project goals are centered around providing the best quality in all aspects of each job and providing steady communication to our clients for project planning purposes. Our engineering team has successfully delivered a wide range of pressure equipment for use in many different service conditions. With a deep understanding of codes, standards, products and our customers' expectations, our engineering team is poised to deliver the highest quality products. Detailed, comprehensive project management (including status reports and schedules updated bi-weekly on all major projects) to ensure awareness of the project's team member needs. Schedules are provided in MS Project format. In-house expertise in project management, mechanical engineering and design. 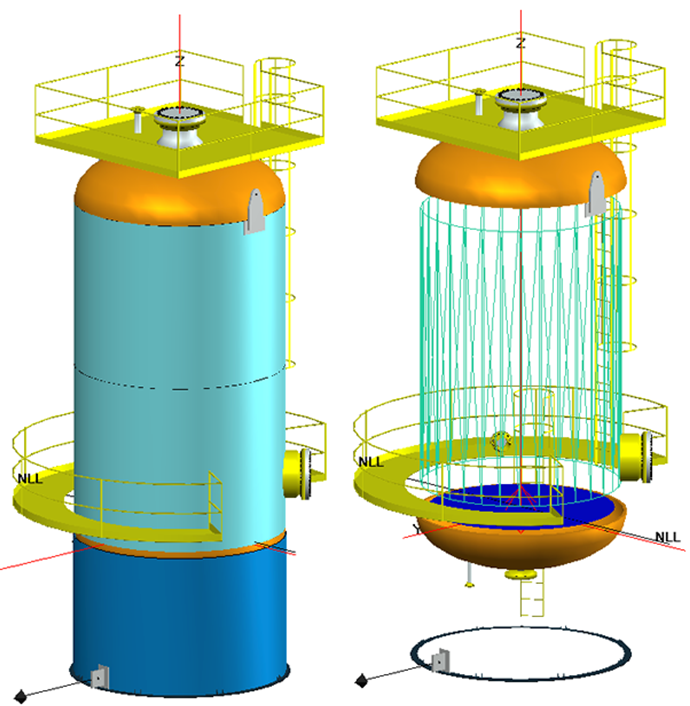 Pressure vessel engineering and design utilizing the latest versions of COMPRESS and AutoCAD. Multi-discipline design projects including mechanical, structural, instrument and electrical elements. Quality engineering, design and fabrication products monitored by quality assurance groups. Ability to meet tough schedules with a “can-do” attitude. Highly skilled in-house engineering and manufacturing staff. A team of (4) registered Professional Engineers with extensive experience in pressure vessels design, (3) with Master's degrees in Mechanical Engineering. Industry leading design software and tools including Autodesk AutoCAD, Codeware COMPRESS, PRG Nozzle Pro, SolidWorks, etc. A Highly experienced CWI and Quality engineering team. 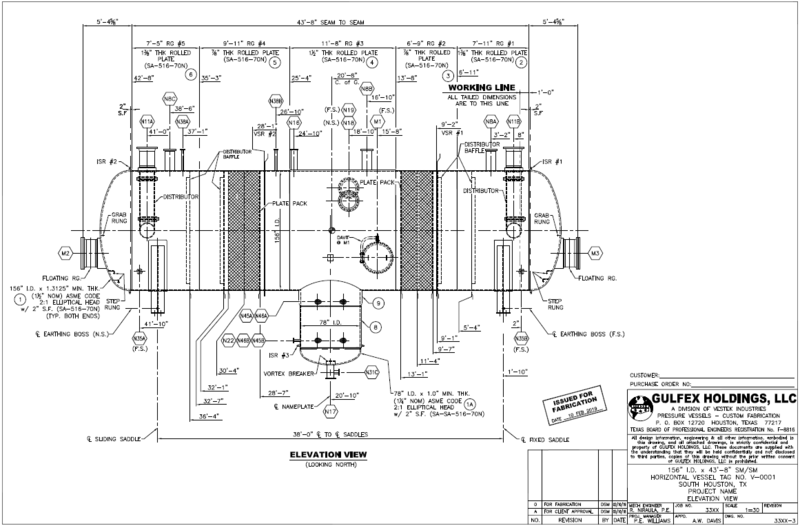 U-2(g) or ASME VIII Division 2 Part 5 Analysis and Fatigue Analysis capabilities. Structural, instrumentation and electrical capabilities.